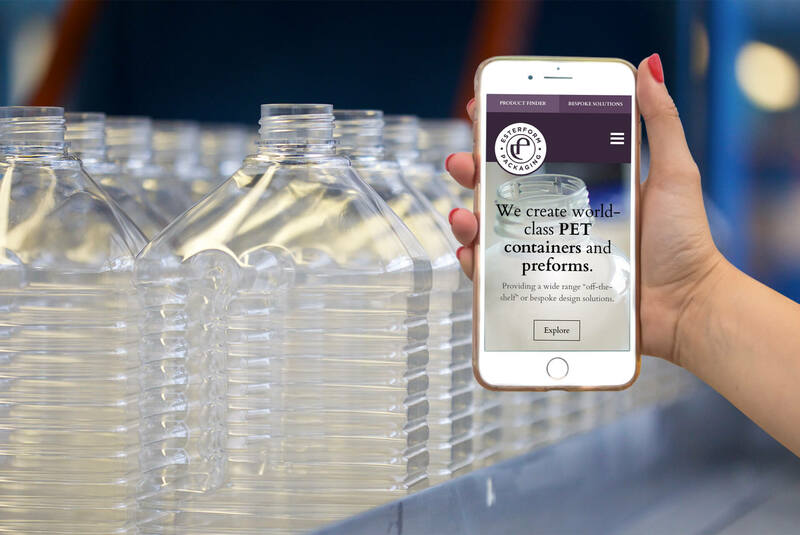 Discover how we redesigned the website of a leading producer of injection moulded PET preforms and containers, as well as creating an easy to use product finder. Esterform Packaging, based in Tenbury Wells, create world-class PET (Polyethylene Terephthalate) containers and preforms for some big players such as Innocent, ASDA and Sainsbury’s, as well as smaller privately owned businesses like Pip & Nut Peanut Butter. Read on to see how we revamped their online presence. We designed an edge to edge homepage with clear calls to action to allow users to browse Preforms or Containers or use the bespoke product finder tool we built. Esterform’s product range is vast and as such, they needed a way for marketeers and technicians to find products and access specifications. We created an easy to use tool to make this process quick and straightforward. Each of the preforms Esterform manufacture have a variety of neck formats with different finishes and weights. We designed a Preform page template that makes it easy to access as much or as little information as required. Investment in technology was key for Esterform to convey, so we also designed a page featuring case studies, information and frequently asked questions. 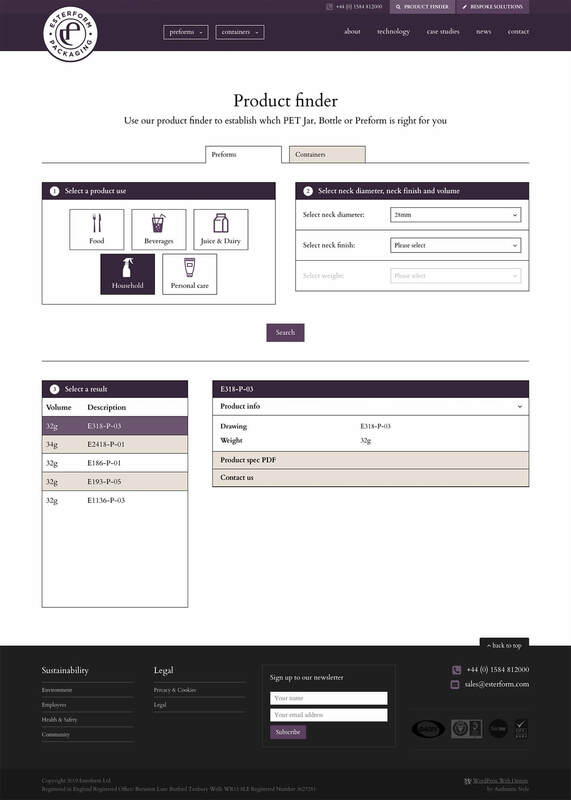 Content and imagery is fully editable on the new Esterform website, along with full management of the product finder tool too. 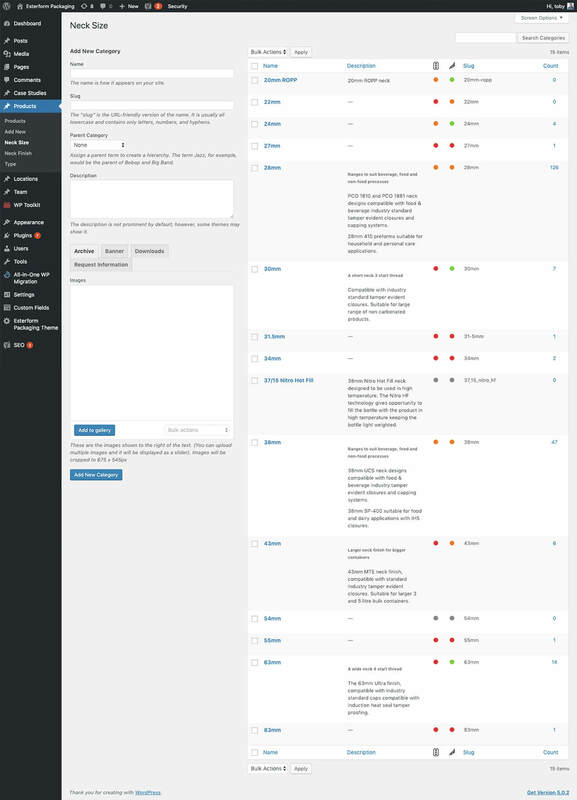 This means Esterform can manage everything about their new site quickly and easily themselves.